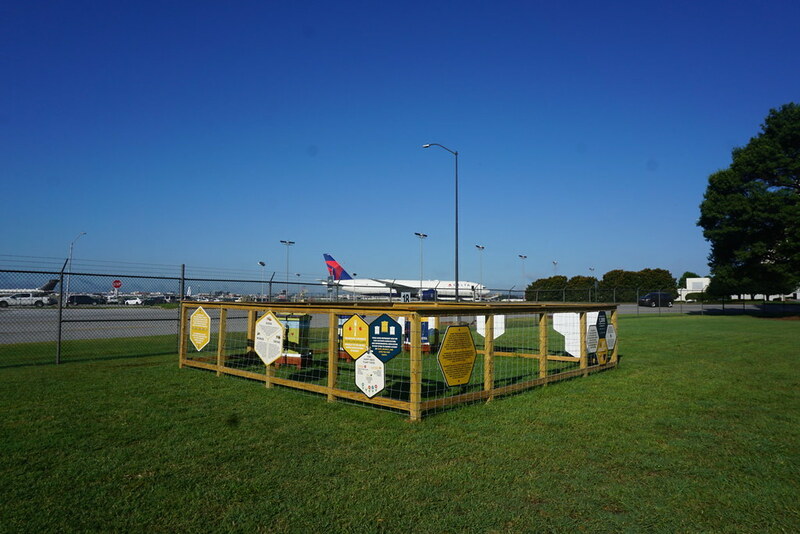 Under a shady oak tree on the south end of Delta's Atlanta headquarters, a small group of adventurous Delta people huddled around a picnic table covered in crisp white beekeeping suits. Names and handshakes exchanged, they waited with anxious curiosity for the morning’s beekeeping class to begin. 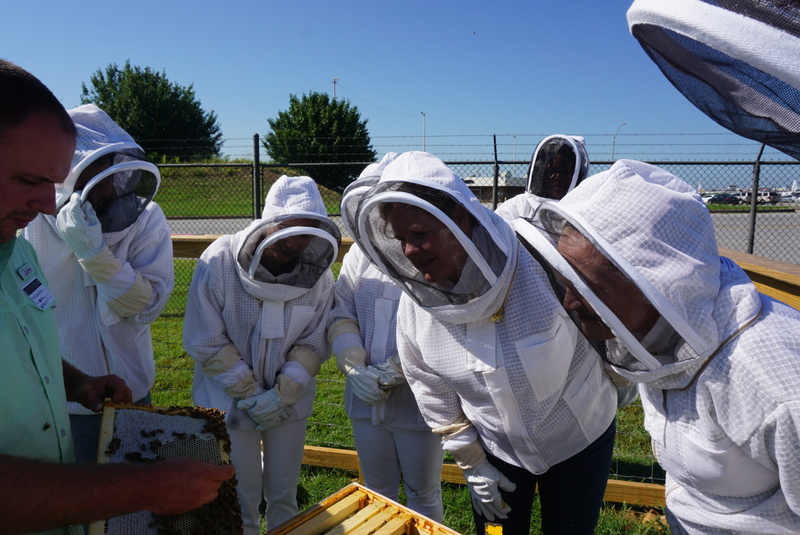 “My husband and I have been considering getting a beehive, so this was a perfect way to get a taste of the experience,” said Aleigha Roberts from Delta’s IT department. 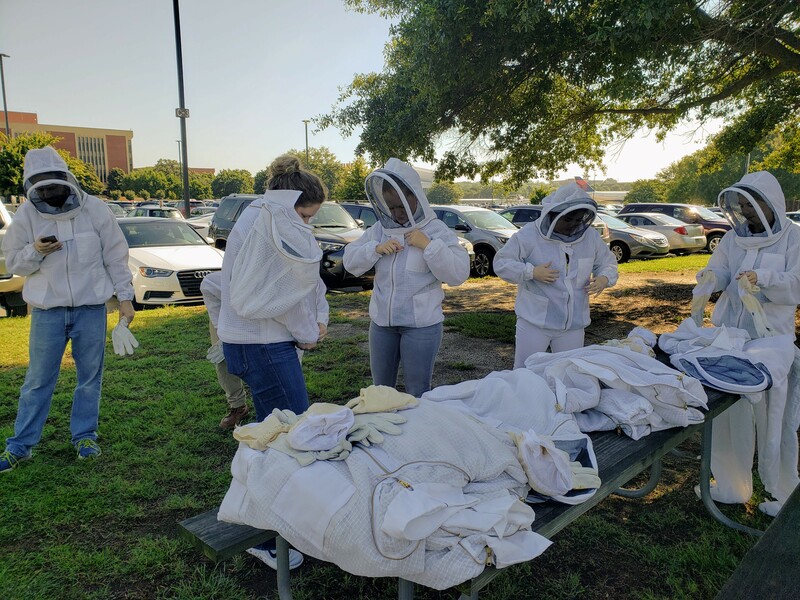 As the class suited up, Bee Downtown CEO Leigh-Kathryn Bonner and Delta's dedicated beekeeper, Nicholas, began with a safety briefing and status report. Swarming is the hive’s natural process of creating multiple bee colonies in which the queen bee leaves the hive in search of a new location, bringing a large court of worker bees with her. 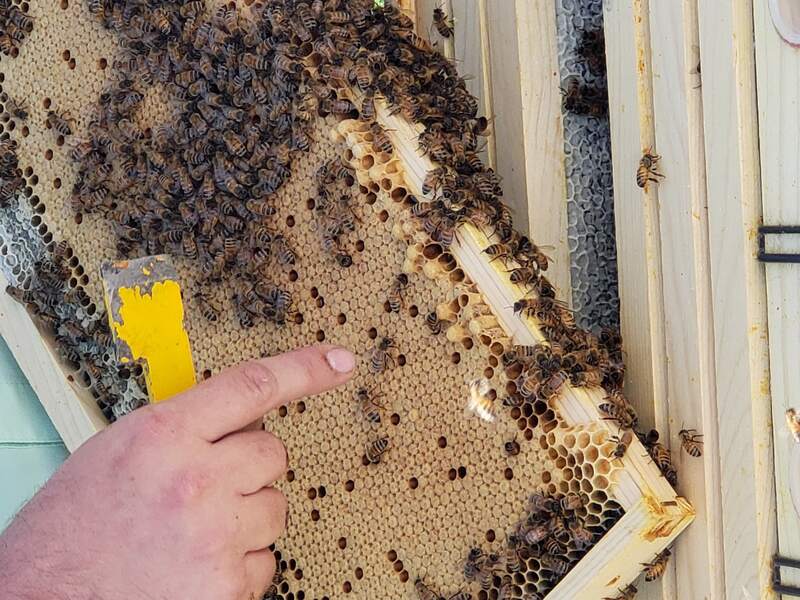 Beekeepers want to avoid this swarm activity to keep the bees from taking up in any of the ample number of trees on and surrounding Delta’s campus. 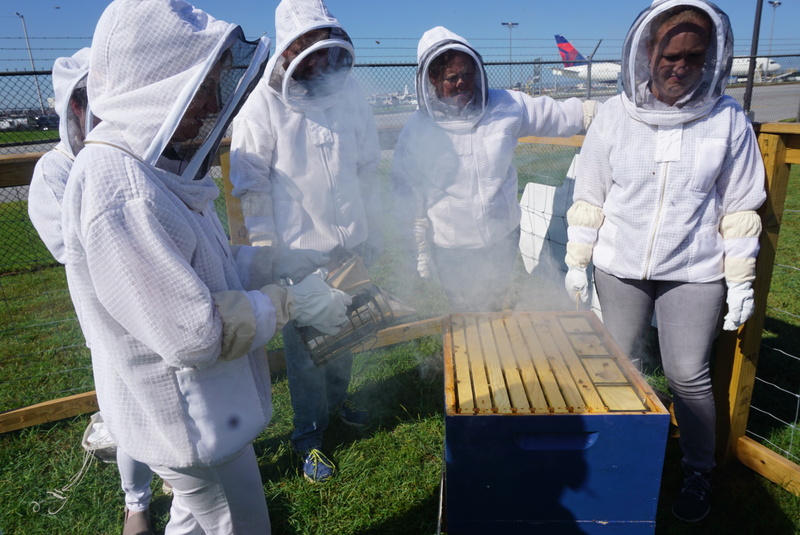 The bee hive initiative supports Delta's goal to be an environmentally sustainable and responsible business. Delta's honey bees can fly up to three miles in search of nectar, contributing to the plant and wild life in Delta's hometown community. After lighting his bee smoker, Nicholas unlocked the gate of the fenced bee area, dubbed the Honey Hangar, and ushered in his students. He and Leigh-Kathryn demonstrated how to safely open hive boxes, remove honeycomb frames and how to identify each layer of the hive. The class leaned forward in unison, straining to catch a glimpse of the eggs, while asking about other eye-catching features. “This is where the honey is stored and all the colors you see are caused by different sources of pollen, which can be yellow, red and even purple from the thistle plant,” Nicholas explained. “We call it a rainbow ring." Once everyone practiced their new beekeeping skills and snapped a few selfies, Leigh-Kathryn debriefed the class with words of encouragement. Stay tuned to the News Hub for more updates about Delta's beehive initiative. Royal jelly is also considered one of the world's most nutrient rich substances by some, including essential amino acids, minerals, biotin, niacin, folic acid and vitamins B1, B2, B5, B6, C and E. Burt's Bees uses it in many of its products. Smoke is used to calm the bees as it masks alarm signals sent out by defender bees and triggers the worker bees to gorge on honey to prepare to abandon the hive in case of fire. Hexagons are the ideal shape to create honeycomb because the hexagonal grid is the best way to divide the surface into multiple cells of equal area using the least amount of bee's wax. About 95 percent of the hive is female. The other 5 percent are the fat, fuzzy male bees called drones.